Barcelona have completed the €40m (£35.5m) signing of Brazilian midfielder Arthur from Gremio. The 21-year-old has signed a six-year deal with the La Liga champions, who announced the departure of fellow Brazilian Paulinho to Chinese side Guangzhou Evergrande on Sunday. Arthur, who has yet to be capped at senior level by Brazil, has a buyout clause in his contract set at €400m (£355m). 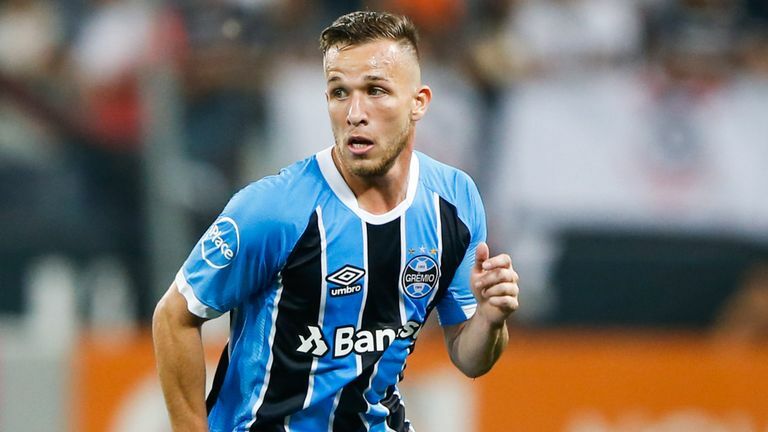 A Barcelona statement read: "FC Barcelona and Gremio de Porto Alegre have agreed the transfer of the player Arthur Henrique Ramos de Oliveira Melo, following the agreement the two clubs reached in March. "The agreement will see the Brazilian player immediately join the squad." Arthur started his career at his local club Goias before being spotted in 2010 by Gremio, then under the charge of former Chelsea boss Luiz Felipe Scolari. He was a key figure in Gremio's Copa do Brasil win in 2016 and also helped the Porto Alegre-based club lift the Copa Libertadores for just the third time in their history last season.